As you may know, Woodlore’s very first Traditional Living Skills course took place in late June – a brand new course aimed at teaching traditional living skills & classic wilderness Bushcraft. The Course leader and office staff member Steven managed to get some photos of just some of the skills and techniques being taught on this course, and the resulting Intermediate Bushcraft photo gallery is now live for all to see. 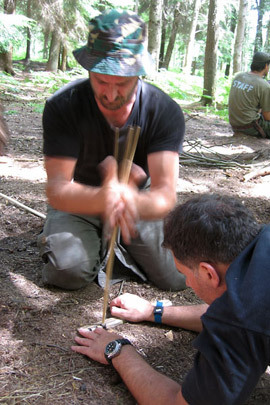 This entry was posted in Bushcraft Courses & Expeditions on July 16, 2010 by Woodlore Team.